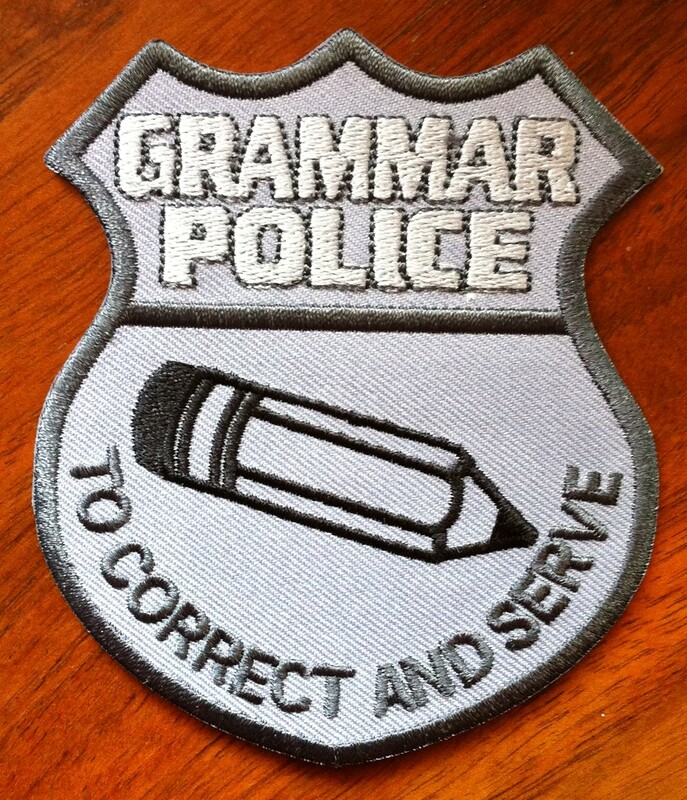 Are you a member of the Grammar Police? 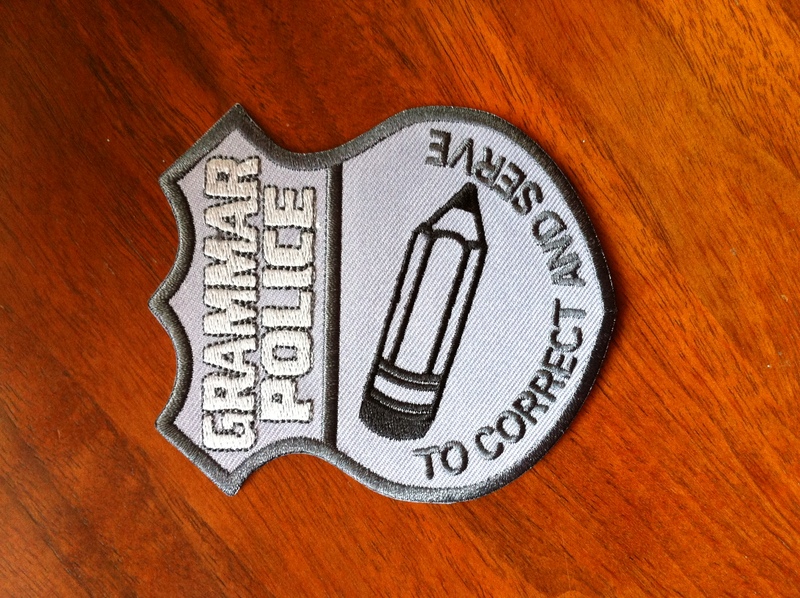 Make it official with your very own patch. Patches measure 3.5″ x 3.125″. 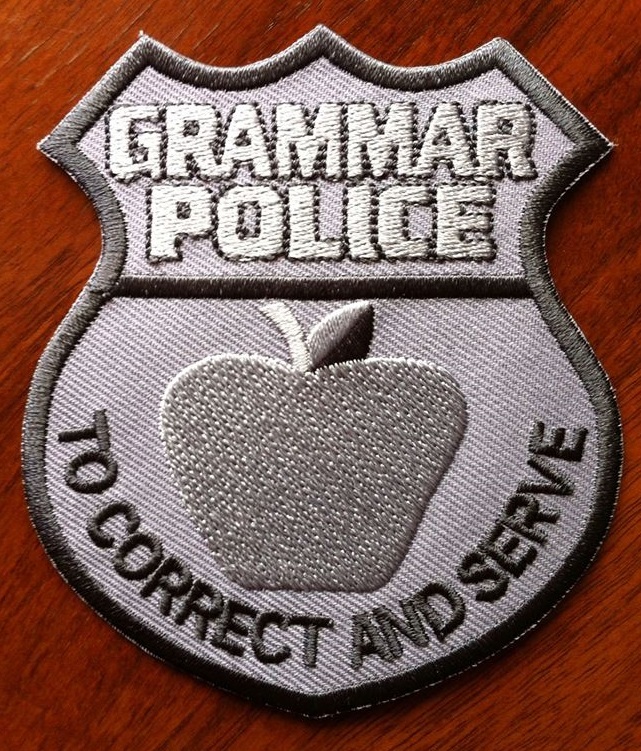 They are perfect for teachers, tutors, editors, proofreaders, copyeditors, writers, and anyone who values proper grammar and usage. These patches are made with care in the United States of America. To order from outside the USA, you must add the International Shipment Fee (at the bottom of this page) to your cart. 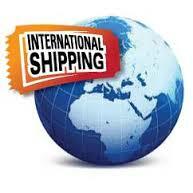 To order from outside the United States of America, you must add the International Shipment Fee to your cart. When you are ready to checkout, click the View Cart PayPal icon. You will be taken to the secure PayPal checkout page (the payment goes through them, so I don’t even need to see your credit card or bank information). Make sure to include your shipping address with your PayPal payment.